I had the last week off to enjoy with my family. We went down to Fort Myers, Florida, where we had absolutely awesome weather and enjoyed every last second. We are back now, but I am still feeling the euphoria of a mid-winter break! So, how about a giveaway? 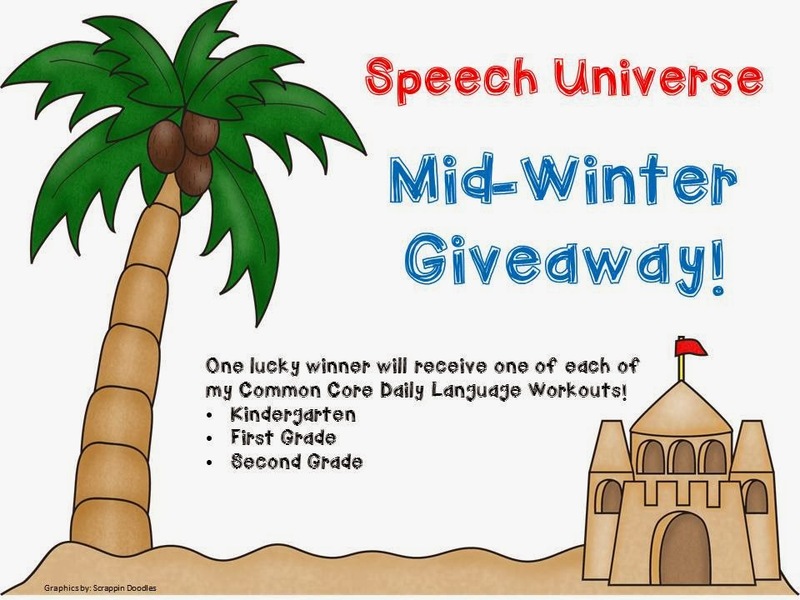 I want to give you the chance to win a copy of each of my Common Core Daily Language Workouts. I really love using these with my RTI students. I have so much information to bring to the table now when we are talking about how students use language, especially as it relates to Common Core State Standards. Thanks so much for entering! Thanks for helping me to extend my euphoria!!! !